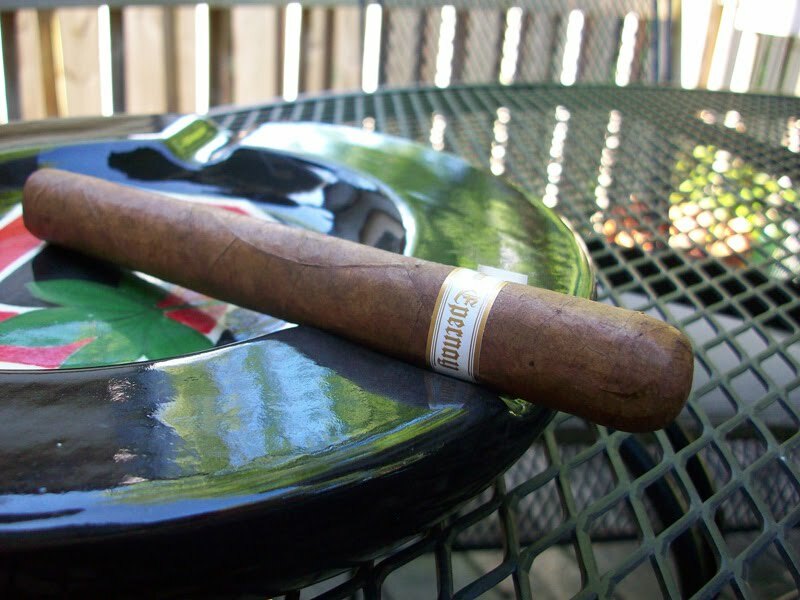 The Illusione Epernay Le Matin is the latest stick from Dion Giolito (Vudu9 on twitter), owner and founder of Illusione Cigars. The main feature (besides the size) that sets this Epernay apart from the rest of the line is this stick is box pressed. In fact to my knowledge, this is the only stick under the Illusione banner that has a box press. If you would like to know more background details about the Epernay line of cigars in general, I did a review of the Le Ferme size HERE with some history of the line. These sticks are only available at New Havana Cigars at the moment, so if you would like to purchase some please visit this link. I was over at New Havana hanging out with Dan (NHCDAN on twitter) Friday night and he was nice enough to smoke one of these with me, and give me another for a review. Big thanks again to Dan and now on with the review. By the time I could get a free hour or so to smoke this Epernay Le Matin, it had sat in my coolidor for five days. I'm sure the five days helped it settle some, as these sticks are very fresh, but it also resulted in the stick losing almost all of its box pressed shape. To me this was actually a good thing, as I am not a huge fan of the box pressed sticks. I thought I had better mention that in this review, because as you see in the pictures, the stick looks almost round and I didn't want any confusion. My Epernay Le Matin had a very oily, milk chocolate color wrapper with a few small veins. The pre-lit aroma coming off the cigar was a nice floral smell that was even stronger at the foot. When I took a deep inhale through my nose from the foot of the cigar it tingled so much I had to hold back from sneezing. Interesting, to say the least. The triple cap clipped easily and the cold draw was free with again that sweet floral taste. After a problem-free lighting, the smoke that this vitola was producing was extremely thick and rich. This cigar had the kind of smoke that, right after lighting, fills your mouth and coats your palate instantly. The initial flavors were somewhat muted by the thickness of the smoke, but what was there were notes of cream, mixed with honey and sweet coffee. After a few puff,s the smoke started to thin a little and the flavors became much more pronounced. The profile was the same, but now the sweetness of the coffee had my taste buds alive and wanting more. I have smoked a fair amount of cigars from the Epernay line and I would say that this one started off quite a bit different. I'm not sure if it's due to the size or these being somewhat young cigars, but I don't recall the Epernay having smoke this thick in the past. It was not a bad thing, just different. The body was medium to medium-full right from the start and the burn was razor sharp. Another aspect of this cigar worth mentioning here, is even with all of the smoke this stick was drawing and putting off while resting, the burn was very slow. It's like this stick said right to your face, "I am not to be rushed." From the start of the second third of my Epernay Le Matin, things started to change to the more familiar. The bellowing thick smoke had died off a bit and the flavors really started to take that classic Epernay profile. I was still getting some of the honey experienced in the first third, but now the coffee flavor had really ramped up and the floral notes I smelled in the pre-lite had just slightly started to appear. The floral flavors were really prevalent after I cleaned my palate with the cold water and were an insight into what was to come. The body stayed the same as the first third, and again, I had no problems at all with the burn. 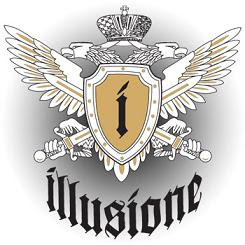 Most people who smoke products from Illusione know that when they light one of these up, ninety nine times out of a hundred you are going to have no problems with the construction. This cigar was no different. The final third of my Epernay Le Matin is where that wonderful floral flavor really took over. Saying that this cigar tastes floral is kind of vague but I'm not really sure what other word to use. It's not floral like over-the-top potpourri or something that you would find in little old ladies houses, but more of a sweet perfume taste. Maybe, now that I think back fifteen minutes to when I was smoking it, it's slightly black cherryish? Again that's not the best way to describe it so if someone can leave me a comment of a better way to word it I'd be all ears. I'm sure it's out there, it's just not coming to me. Back on track. The coffee flavors were still hinting but now way in the background that they became almost an after thought to me. One other big difference in the final third of my Epernay Le Matin was the body. This stick ramped right up into the full range. It was not over powering by any means, but I was happy that this strength was only at the end of the stick and not all the way through as I am more a medium to medium-full kind of guy. 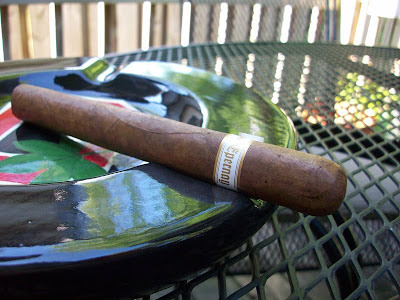 My final thoughts on the Illusione Epernay Le Matin? If you like the other cigars in the Epernay line you're going to love this. And I do. This stick, other than the really thick smoke at the start, and the powerful body at the end fits right in line with the rest of the brand and doesn't disappoint. I would suggest if you want to truly smoke one with a hard box press shape to it, either keep them tightly packed in the cab, or smoke it as soon as you get it. I don't think the box press shape makes this cigar, but everyone has their own opinion. Like I said above, these sticks are only on sale at New Havana Cigars at the moment so if you want to pick some up please visit this link and tell Dan I sent ya. Would I buy it again? There is no way to hide it, these sticks are expensive when it comes to the Epernay line. If you're anything like me, you'll want to try at least a handful of everything that Dion produces, so I will be picking up a few more. Would I buy a box? Even in smaller cabs of 25 (yay!) 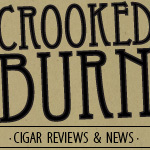 these cigars are out of my cigar budget right now in box quantities. Dan you've created a very nice site with an attractive and sensible layout and provide solid reviews. This cigar sounds intriguing. Pete Johnson called this Dion's masterpiece. Hope to try one soon. Thanks for the kind words Marco! It means a lot to hear that from you. I hope to move domains here soon (I have it, just not switched it over) so I will not .blogspot anymore. But it will redirect.